SARAJEVO—The government of Bosnia’s autonomous Serb Republic set up panels on Feb. 7 to re-examine the number of victims in Srebrenica and Sarajevo during Bosnia’s 1992-1995 war, a move Western countries view as a push to revise history. “This is a delicate and complex issue. The basic aim is to clarify all the facts about horrendous sufferings for the sake of the victims and their descendants,” Kasipovic said. The government said the panels include experts from 12 countries. 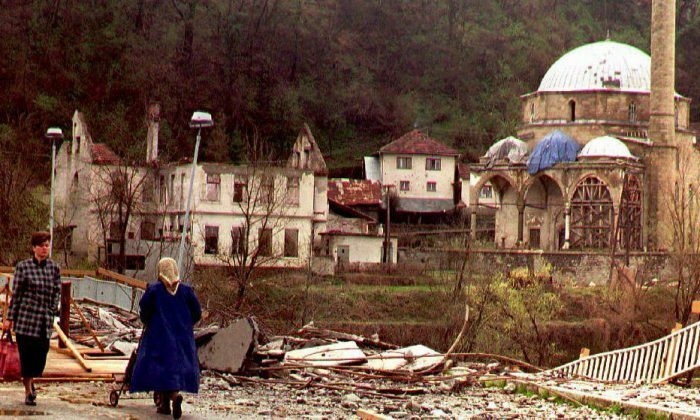 Around 100,000 people, mainly Bosnian Muslims of whom roughly half were civilians, were killed during the Bosnian war as Bosnian Serb forces, backed by Belgrade, seized swathes of Bosnia and drove out non-Serbs after it voted to secede from Yugoslavia.